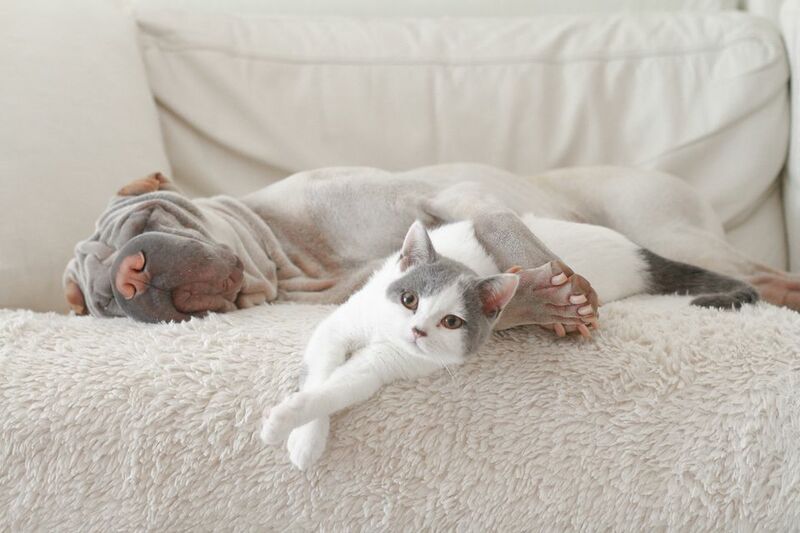 Don't Just Cover Up Pet Odors - Get Rid of Them! Eliminating bad odors from your home before putting it on the market is more important than most people realize. The first thing prospective buyers feel in the house is the way it smells. No matter how beautifully you present your home, strong odors and stale air can make your interiors unappealing and have your buyers running. Open windows and exhaust fans only go so far towards removing foul odors. For smells that can make your potential buyers run out of the house holding their nose, try these odor eliminator ideas. Many home sellers make the mistake of spraying artificial room freshening sprays thinking it will remove the bad odor. But in reality, the deodorizers quickly fade away, and the problem remains. Moreover, most home shoppers are suspicious of room fresheners and will notice the underlying foul smell under an artificial spray. So, instead of trying to mask it, locate the actual source of the offending odor and get rid of it. If in doubt, have a friend or another outsider walk through your home and give it the sniff test. What's the Best Pet Carpet Cleaner for Accidents? We all love our pets and furry friends, but unfortunately, they can wreak havoc on your abode! Whether it's on your carpet or in your upholstery, or in their pet area, it is essential to get rid of all of the bad odors. Most serious pet odors stem from the accidents, and your first measure should be to attend the stain immediately. Blot with a paper towel and little mild dishwashing liquid. Once completely cleaned, blot again with clean paper towels. If the spot is not a fresh one, use an enzyme cleaner as it will help to eat the bad bacteria. Another great idea to absorb a range of odors, especially those caused by the pets is activated charcoal. It is a form of carbon that has been activated to make it extremely porous. You can get activated charcoal meant for pet odors very inexpensively. Using a natural odor eliminator is a green alternative that not only performs the task in a safe manner but also at a much more affordable price. One of the most recommended products is baking soda. Bowls or the box itself can be placed in rooms to absorb the unwanted scents. This can frequently be done in closets, cupboards, and refrigerators. Moreover, this effective ingredient can be used to reduce the musty aroma in the basement and remove cigarette odors. If you've gotten used to the air quality in your home ask a neighbor or a friend to come inside your home before an open house or before putting your house on the market. Another highly used product for removing unpleasant odor is vinegar. It can be used to get rid of foul pet smells in the carpet and placed in bowls in smaller spaces to take away any unwanted odor. You can also add it to the water during a wash cycle to freshen up the clothes. For keeping your disposal smell-free, cut a lime, lemon, or orange into chunks and drop them into the running disposal. The citrus will help you get rid of most odors. If this does not help, follow it up with half a cup of white vinegar along with some cold water. Also, make sure never to put potato skins, onion peelings, and carrot peelings down the disposal because when they begin to decay they smell bad. Don't make common home staging mistakes and assume your kitchen always smells fresh and inviting. The quality of the air is an important element of home staging and ensures your home feels welcoming. Clean and fresh air positively affects the entire house space and can speak volumes about your home conditions. Many buyers associated foul odors in your home for you being unclean and not caring for your home. As odors are linked to our brains and can trigger many kinds of memories, both good and bad, make sure to get rid of them when you stage your home for sale. Clean and fresh air will not only boost good memories for your buyers but will also help to sell your home faster. Have more odor eliminator ideas?